For years now (generations), rugby clubs and their social clubs have been synonymously linked, but perhaps now would be a good time to question if there are valid, commercial and sustainable logic behind the reasons for the practice. The argument goes that rugby guys like a beer after the game, so why not have the rugby club run its’ own bar so the money is kept in the rugby club rather to some local hostelry who will keep the profit for itself. In todays Irish Independent, author & columnist Billy Keane has a piece (Shame on World Rugby for putting money first) questioning World Rugbys ranking of the recent World Cup bids from South Africa, France and Ireland. 3rd round draw for Scottish Schools Cup has been made. Fixtures for Under 16s and Under 18s will be played on or around 27th September, though there are still a few Round 2 fixtures still to be completed. 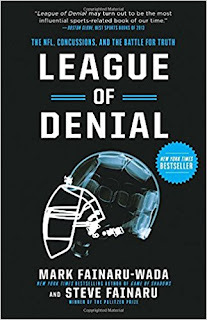 In a fast-paced narrative that moves between the NFL trenches, America’s research labs and the boardrooms where the NFL went to war against science, League of Denial examines how the league used its power and resources to attack independent scientists and elevate its own flawed research — a campaign with echoes of Big Tobacco’s fight to deny the connection between smoking and lung cancer. Motion 1 at the SRU AGM failed to meet the 2/3rds majority required for it to be implemented, but it’s a bit disingenious to say the only reason it fell was due to the word “determination” in respect of the Boards powers to change the leagues and, international tickets. Whilst we’ve been holding our breath this week waiting for the official announcement that two South African teams are joining the Pro 12/13/14 competition, we’ve had plenty to keep us occupied with stories coming out of Murrayfield (whether from official or unofficial sources).